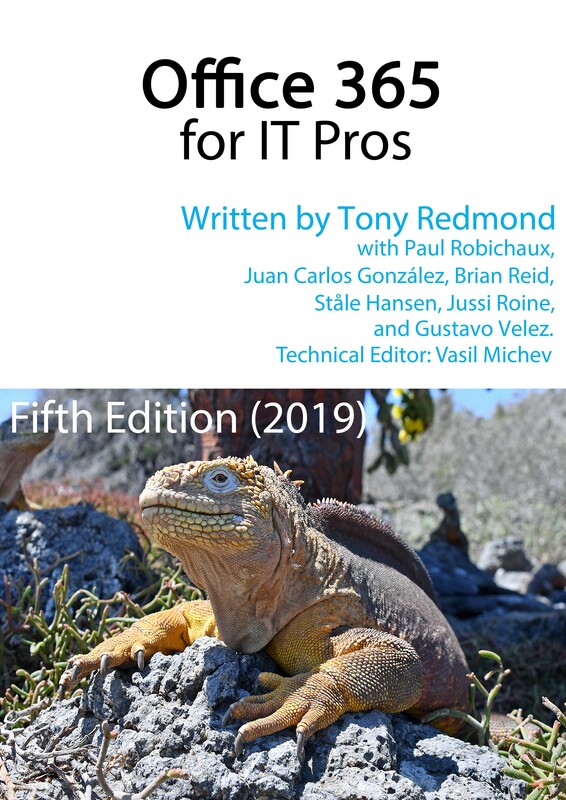 If you want an updated approach, you should check out the Book I am co-authoring that is update weekly by MVP Tony Redmond, to match the ever-changing Microsoft Cloud. 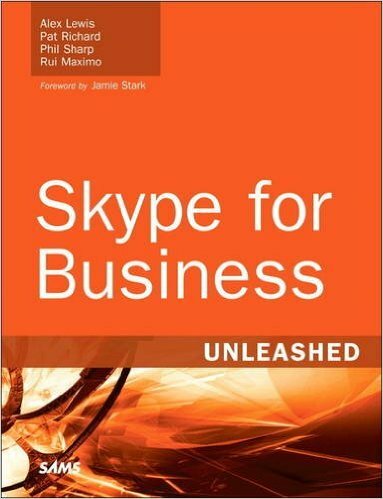 The book is called Office 365 for IT-Pros and comes highly recommended. Recently I wrote a blogpost on Control your Lync presence during a Pomodoro Sprint using PowerShell. This awesome script uses a timer and the Lync SDK to lock down Lync for 25 minutes while I get some real work done. The only thing I did not find out was how to suppress is Outlook popups and other notifications. ; WARNING: Using Registry Editor incorrectly can cause serious problems that may require you to reinstall Windows. Microsoft cannot guarantee that problems resulting from the incorrect use of Registry Editor can be solved. Use Registry Editor at your own risk. I was preparing to speak at Microsoft Technology User Group (MTUG) here in Norway at the PowerShell Script Club. My session for the night was going to be Lync Server Management Shell. First I thought I was not going to prepare anything and wing the whole session. The more I thought about it, winging any session that I am going to give in front of an audience is seldom a good idea. So I thought, ok make a blog post instead. I will here add my favourite features, oneliners and scripts that I have found working with Lync Server. I will update this blogpost as I remember and find new features, oneliners and scripts. Please let me know of your best PowerShell tricks in Lync. There are some cmdlets I use more than others and find useful. Let me know what is your most used cmdlets. There are a lot of scripts that is created and expand on Lync Server PowerShell functionality and and some that simplifies working with Lync as well as monitors the solution. Below are some of my favourite scripts. Please let me know of other epic scripts out there. A script to install prerequisites on Server 2008 R2 before you start install Lync Server on the OS. You can download the resource kit tools, Silverlitght and other tools easily. You even have som post deployment options in the script as well. This script is highly recommended and I use it in every deployment. A scripts that read unassigned numbers and depends on you having put you entire number serie there. It will find all numbers assigned to users, devices and features in Lync and find what numbers are available in any given unassigned numbers series. This is a script that saves you the pain of managing available numbers in an excel sheet. This script is for demo or initial deployments only. It is created for norwegian rules and genereates an easy way to dial out through one gateway and has the usual normalization rules for Norway. To edit the script and find the nomralization rules for your country see the Dialing Rule Optimizer. This script is used in an OCS to Lync migration scenario. It will reset all policies to $Null so that they use Global or Pool level policies for External access, Voice Policy and so on. The reason for this is that all users should use what you define for Lync and not what you inherit from OCS. A script to enable users to search for external contacts and Video Conferencing endpoints from Lync. It creates a contact in AD and adds the SIP address to the msRTCSIP-PrimaryUserAddress so it will be synced to the addressbook in Lync. There is a lot of techniques used for scripting. The best script tips I know of I will list here. Lets you easilly define debug lines that can test variables and logic in you script that is good to use when developing the script but that not need to be there when it is used in production. When you want to debug the script you change the $DebugPreference from ‘SilentlyContinue’ to ‘Continue’. Then all Write-Debug lines will be displayed. $var = Read-Host "Enter a computer name"
Functions are scripts in scripts. If it is certain things you need to do more than once in you script, make it a function with an input and output. I have also seen functions being used to organize your script in a better way to make it easier and more ordered to view. Back in july 2010 I created a script to set the default AccessRight to Reviewer for Exchange 2010. This was a new feature for Exchange 2010 that we could use the command Set-MailboxFoldersPermission to change AccessRights on specific folders on the server level. As the calendar is a folder we now could do this organization wide using PowerShell. As the picture shows you get three menu items. 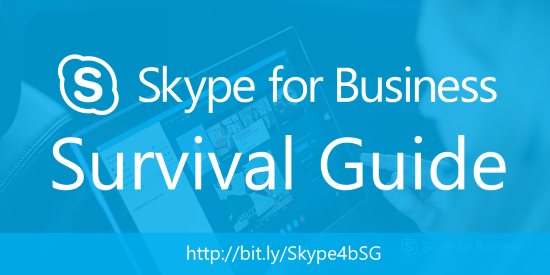 With Lync Server 2010 more and more deployments involve Enterprise Voice and Pstn access. When implementing in pilots and single site environments my customers tend to want everyone activated being able to dial to the Pstn network regardless of location or position. With this in mind I have created a script to easily implement appropriate Nomralization Rules, Pstn Usage, Route with Gateway and Voice Policy without any typos. Since all this is intended for global use and the scope is global, all users get access to the Dial Plan and Route. All calls and numbers are routed through a single Gateway. Having worked on a couple of Enterprise Voice deployments since the launch of Lync Server 2010 I have been missing a feature that I honestly thought would be incorporated by launch. It is the ability to find unused available numbers in a given number range assigned to the Lync Server based on Unassigned Numbers. I even hoped it would be possible to assign a teluri to users through a drop down list in the Silverlight GUI since the information is available in the server. I hope this will be available in a later Service Pack or Cumulative Update. I hope this script will come useful to anyone who needs this feature and that others can use this to and adapt it to their needs. Please share any improvements that could be made to the script. Enjoy! When installing Lync Server 2010 some roles requires specific Windows Features to be installed. The features are about the same as for OCS 2007 R2. Need one aditional hotfix for Lync EDGE Server Role.